the JPX 919 Tour offers feel, precision, and a penetrating tour profile ball flight. and a big upgrade on appearance and feel. Everything about the appearance conforms to the requirements of the very best ball strikers. Check out the thin top edge, compact blade length, and minimal offset. and moving the CoG slightly more centered for a better feel. ensure the sweetest feel on well-struck approach shots. These irons are lower spinning than the JPX 900 Tour, with an improved forging process and an improved finish. If you swing the club a little faster and have precise ball striking skills, these are high performance, exquisite irons. 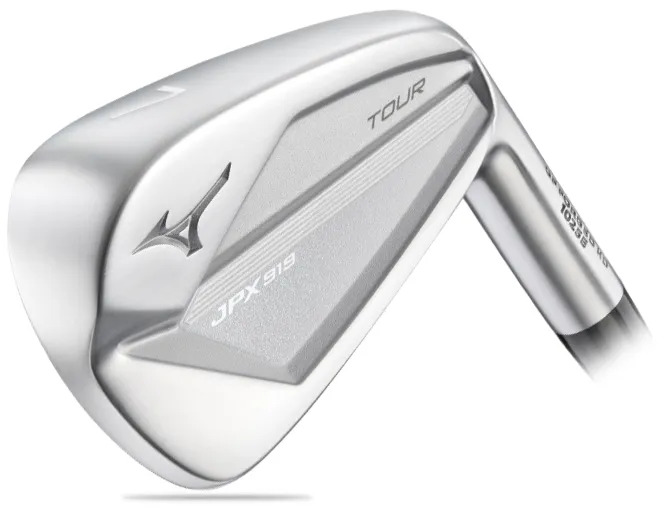 the JPX Forged will offer better results.